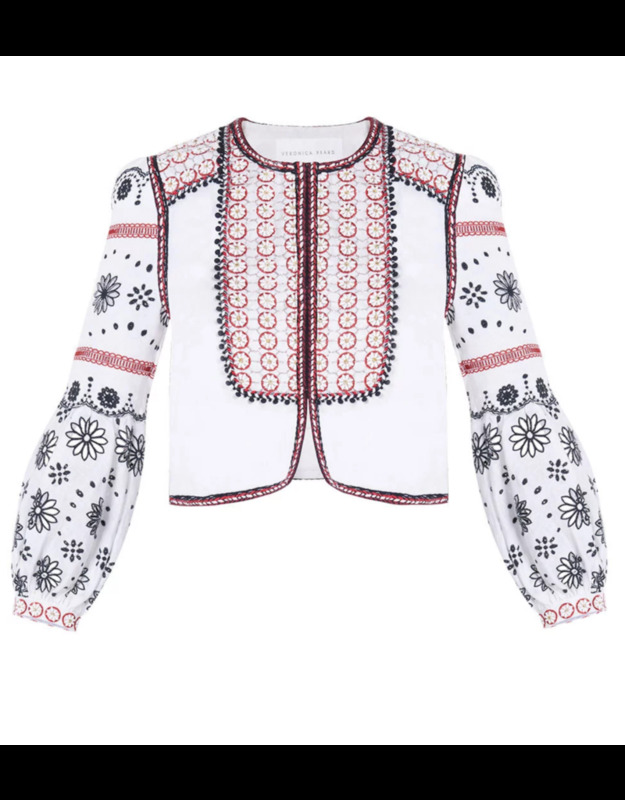 Artful floral embroidery adds casual charm to the Shilin Jacket. Crafted from linen, this cropped silhouette features flowy sleeves for a feminine additon to dresses, denim and more. Available in Off White. 100% Linen. Lined at body. Professional dry-clean only. Sleeve length 30". Length 18 1/4".